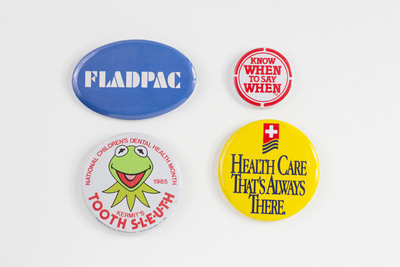 FLADPAC, Florida Dental Political Action Committee button. Know WHEN to Say WHEN button. Kermit’s Tooth S-L-E-U-T-H 1985 National Children’s Dental Health Month button. Health Care That’s Always There button.